Edit the length of your class lessons while creating your class. You can change the length of any lesson while designing your class. The length of time is set in days. This setting is found in each lesson, in the 'About' section. 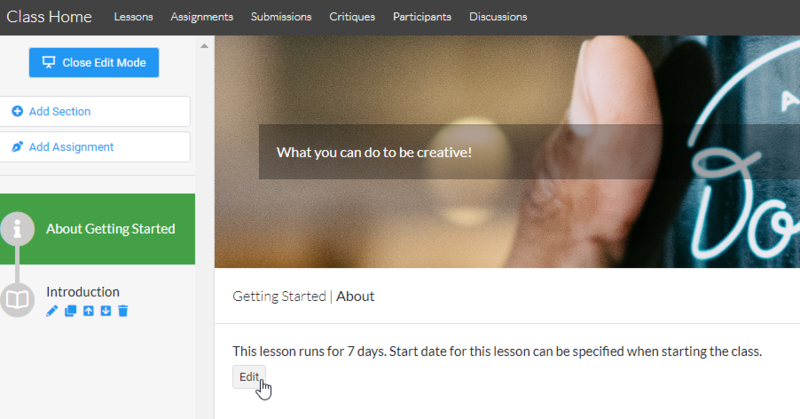 Click the "Edit" button under the text that indicates how long your lesson runs for. Update your number of days and click "Save." Lessons within a class do not need to be the same length.